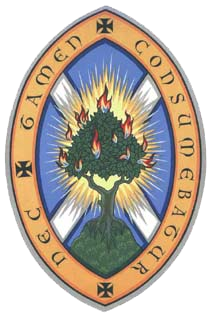 Morningside Parish Church are running a Charity Auction, to raise funds for an audio visual system that will make our services more accessible to the hard of hearing and the housebound, and benefit the many organisations using our Church Centre. What? 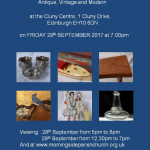 There will be a wide variety of lots, covering antique and modern European and oriental furniture, garden benches, clocks, porcelain, ornaments, teasets and dining ware, crystal and glassware, pottery, books, toys, silverware, jewellery, paintings and prints, coins, communion tokens, stained glass lamps, vintage toys, sewing machines, ancient projection and electrical equipment, sporting memorabilia, bicycles, items of local and religious interest and much more. Click on the poster to see a few samples! 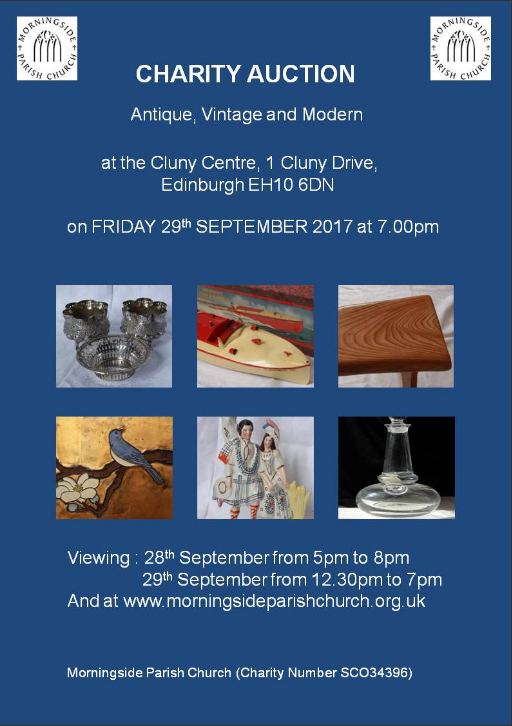 – and on Friday 29th September ( 12.30 – 7pm ). A catalogue of lots for sale is available online in the week of the sale at this site. Bidder registration and remote bidding forms will also be available here from Monday 25th September, as will terms and conditions for the sale and collection of goods. Successful bidders can pay by cash or cheque.